I just purchased over 2000 pieces of duck egg blue verified crown lynn. 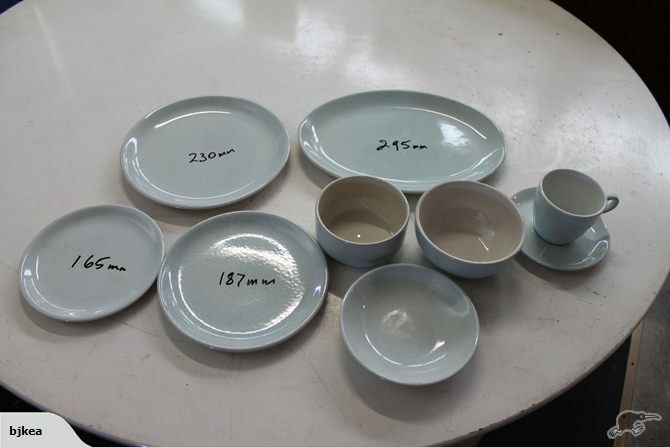 250 big oval dinner plates, 240 lge circle dinner plates, 240 lge side plates, 220 sml side plates, 200 deep bowls, 180 straight dishes, 200 cereal bowls, 250 cups, 250 saucers and about another 100 items odds. I need prices per item or would it be best to put them into 6 or 8 piece sets and sell them that way? Help! Gosh that sounds like an interesting lot! This high fired vitrified ware is quite popular in the soft speckled blue and it's very strong and is made for being used in the dishwasher, so would be ideal for restaurants. Check out Trade Me expired listings to see what has sold and what prices were realised. Not that easy without a pattern name, but duck egg blue might work. Do you have any info on the history of this massive lot? I am just off to work, but will give you the Crown Lynn names for the pieces that you have mentioned and I will have a search when I get a chance and report back. I'm trying to figure out how to upload some photos? I would say half have never been used and the other half are in top condition. You hardly ever see full sets on trade me now of Crown Lynn so I was thinking that would be the best way to sell them off and because they a close to colour glaze look they should be easy enough to sell? What do you think? 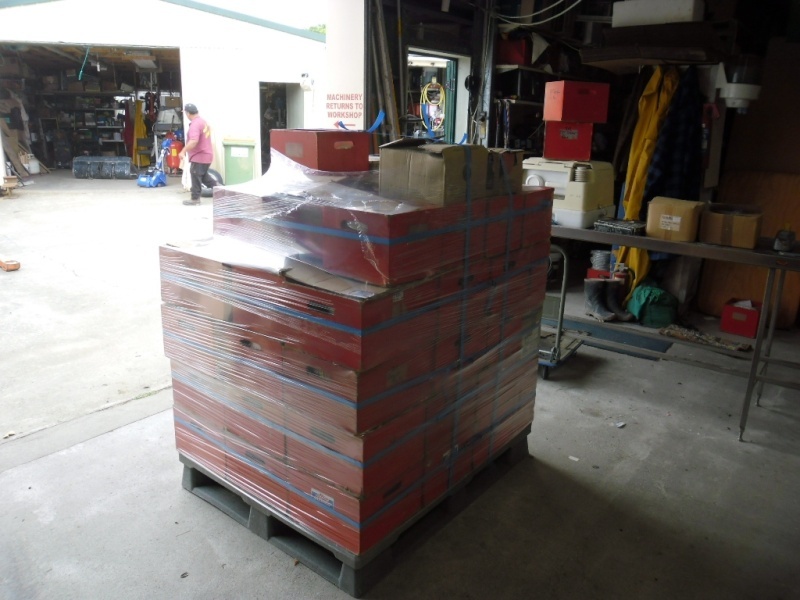 Crown Lynn also sells quite well though auction houses I noticed as I attend 3 or 4 auctions per week LOL (Crown Lynn Crazy I am) I also have over 1000 pieces of colour glaze which is what I collect. Not to sure about this purchase on the Egg Coloured stuff? I know it was more expensive to make than other Crown Lynn dinner set but have no idea what its worth? I try to work out how to upload some pic's. LOL your totally right. 4, 6, and 8 piece sets is a good idea. My items are in transit at the moment but when I get them I'll send you the markings to see what we have. And don't post more than one set at a time! I'm really interested to see the '100 item odds' that you have, so if and when possible can you take photos please.